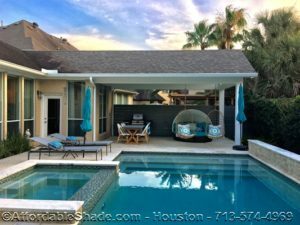 If you want to build a new custom patio cover in Pearland for your home, Affordable Shade Patio Covers is here to help. 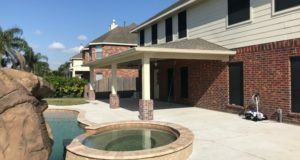 We have built hundreds of custom patios and porches of all styles and sizes in the Pearland, Texas area. A backyard patio and patio cover is a great place to entertain friends and family. 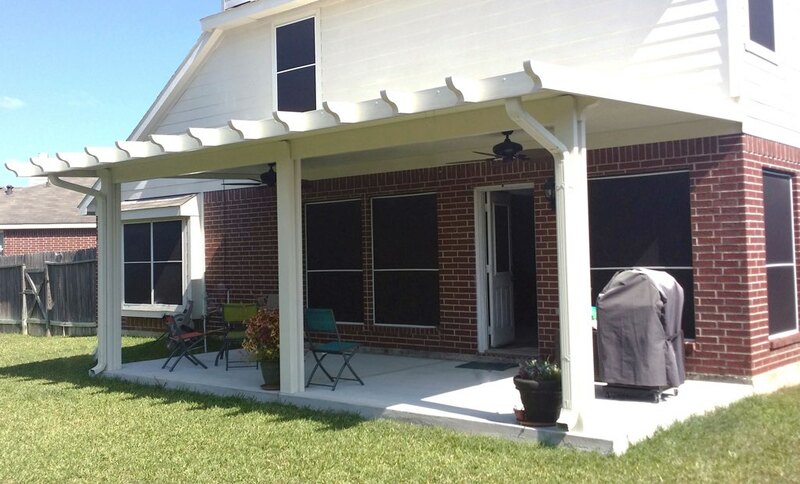 A patio cover will last you a lifetime and provide the perfect place to make memories. No matter the reason for wanting to build a patio cover, we are ready to lend a helping hand. You will be delighted to hear that our process starts with a FREE in-home design consultation, where we help you choose the best design to fit your needs, home design, and budget. Fill out the form or give us a call – Quick, Easy, & Free! Once we view your home and know what style of cover you want, we’re usually able to provide your estimate within 24 – 48 hours. If you are ready to go forward, we submit not only permits but for your HOA as well! 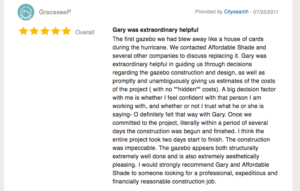 Is hiring an insured & experienced contractor important to you? We work differently than most other outdoor construction companies. 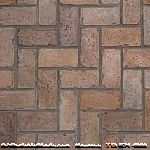 We believe that our customers should know all of their options before making a purchasing decision. 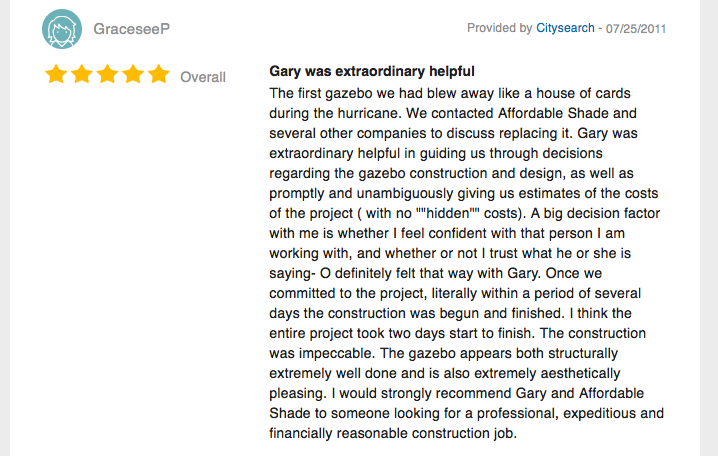 Which why we offer free design consultations so that you have the opportunity to ask any questions upfront. We believe that straightforward communication is the best way to business, and we have come to learn that our customers appreciate it. When dressing to impress, accessories can make an outfit; and it’s no different when it comes to your landscaping! 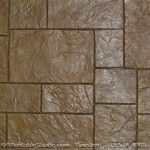 From paths from your front yard to your patio to entire patio/outdoor kitchens and grilling pagodas; stamped concrete is the way to go! 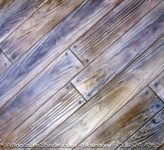 Here are four examples of why decorative concrete added to your home’s exterior can make it much more beautiful! 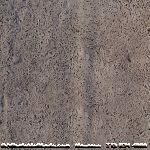 The curb appeal effects of decorative concrete in an outdoor setting speaks of class and refinement the way few other things can, and there is something about the permanence of stone that lends mental security like nothing else. 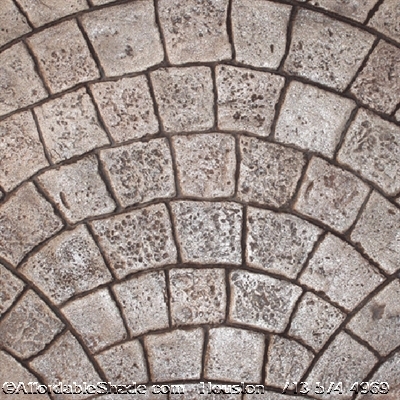 Ornate pathways, burbling stone fountains, concrete-floored patios, and outdoor kitchen areas increase the beauty of a home and make other accessories stand out even more. These features can also significantly increase the value of your property in addition to the contribution of enjoyment of your home. 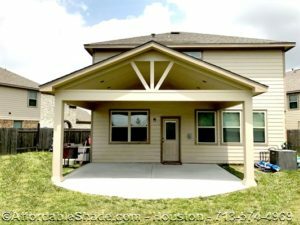 As you may well already know: Houston weather can be tough on a home! 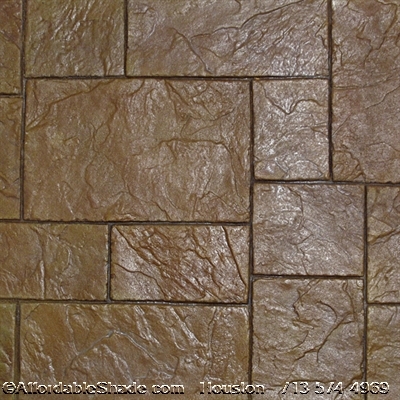 Custom concrete areas are secure and long lasting, providing you with a peace of mind when it comes to knowing that your investment in the beauty of your home is a sound one. 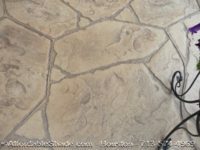 A semi-annual pressure washing to remove algae and other debris can make decorative concrete look brand new in a single day! 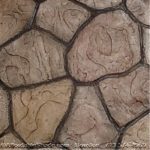 One of the best things about adding decorative concrete to the exterior of your home is that you don’t have to do it all at once! For example, let’s say that you have decided to build an outdoor kitchen or grilling area, you can always create additional space as needed. Given the extensive variety of patterns and styles of decorative concrete there is today and the ease of access to them, adding a design you will love to your Houston home is more cost-effective than you might think! And decorative concrete is more affordable than custom stonework. 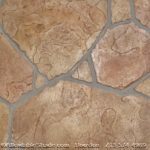 The most important thing to consider when choosing to add some concrete work is that you want a highly reputable source for its construction and or installation. Affordable Shade Patio Covers builds custom patio covers and pergolas. For our clients, we often build our structures with decorative concrete foundations to enhance the design. 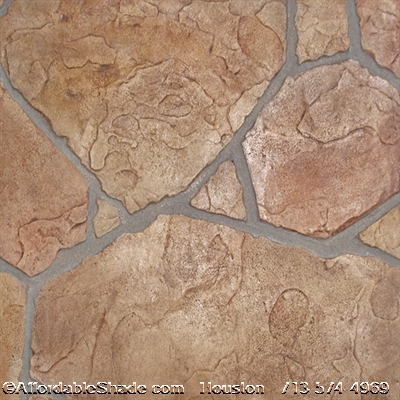 Please give us a call at 713-574-4969 for a free design consultation. 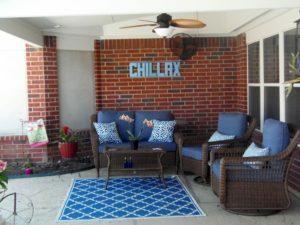 If you are thinking about adding a porch or patio cover to your property, doing a little brainstorming and research is worth its weight in gold! Here are four things ideas you can use to create a checklist when it’s time to build an outdoor addition to your property. Like many things, answering the question of why you need something will help the project start off right. If you are looking for something economical and straightforward structure, then an insulated aluminum cover might be the way to go (make sure you check out any deed restrictions first, more on that in a bit). If you are looking for a more customization option or you want a larger space to entertain, a custom patio cover may be the better choice. 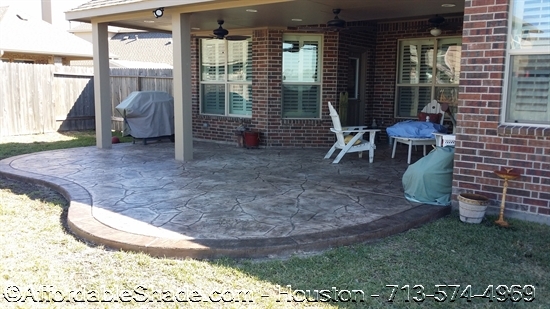 Custom patio additions are more common in the Houston area and can add more value to your home. 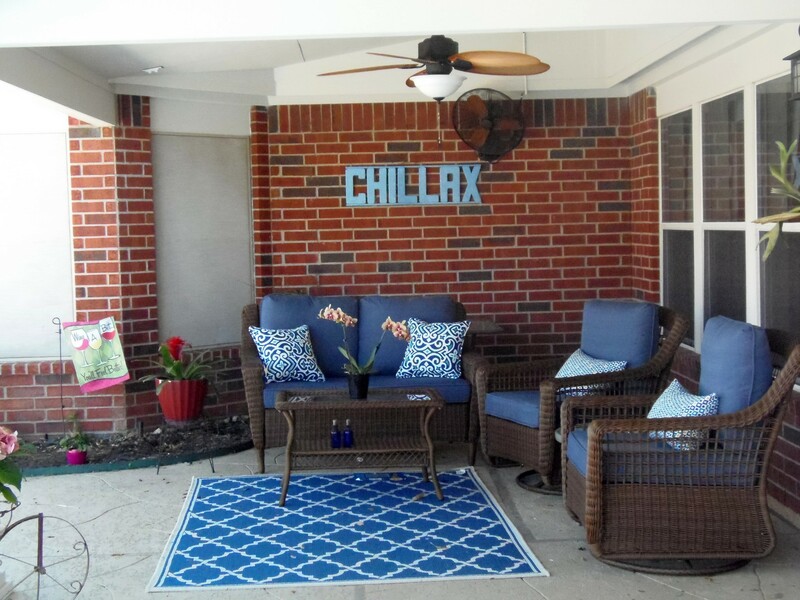 Deciding what your needs are is the best place to start a new outdoor living project! 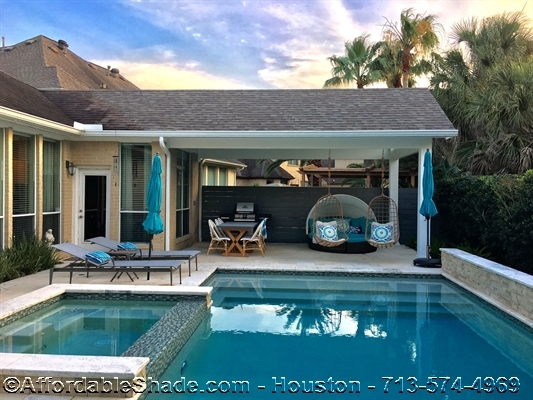 As we just mentioned, custom patio cover additions are the most common in the Houston area, with the most common being a design that matches the current style of the home. 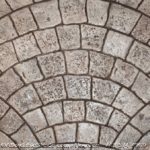 Matching the style of your home may require decorative stone or brick columns, and a decorative ceiling can be added to the design. If you have chosen an aluminum patio cover, you may want to consider a color that complements the current paint color of your home. No matter what kind of materials you choose for a patio cover, make sure that the cover is built to Texas windstorm certifications to ensure a long lifespan in the often turbulent weather we see here in Houston. While driving around a neighborhood and looking around will give you a good idea of the uniformity expected by a subdivision deed restriction or limitations placed by an HOA (or both), actually doing some research is a must when building a patio cover. Contacting the right organization and getting a detailed list of what is acceptable and what isn’t can help you to avoid a costly mistake and potentially (depending on what they allow) open your eyes to possibilities you hadn’t thought of. Taking the time to do this research will also give you info on the kinds of accessories and other things you may have wanted to add to your property as well. Again, research before you begin a patio cover project can help to define it and avoid any costly mistakes. Take the time to get detailed information from your city regarding construction regulations. For example, do you know how far from a property line your patio cover can be based on city guidelines? Doing this research will help you plan the project as well as ensure that you comply with local laws. 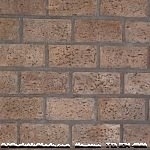 In addition to the research, you will need to get a permit actually to build the patio addition when the time comes. If you are using a contractor to build your patio addition, they will often take care of this step for you, but be sure that they agree to do that and give you copies of everything for your records and peace of mind. 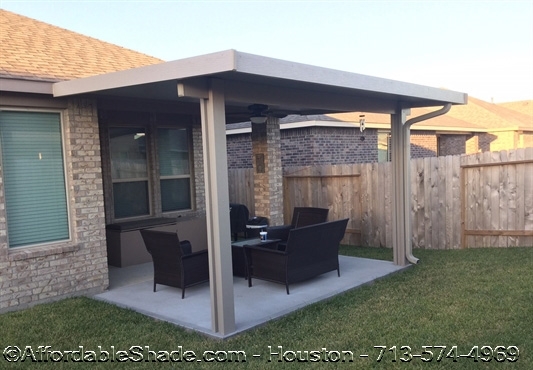 Affordable Shade Patio Covers builds patio covers and pergolas in the Houston area. When you choose to work with us, we work with you to design a patio cover to fit your needs. Once you have a design, we handle all the permitting, HOAs, and windstorm certification. All you have to do is sit back and relax! If you would like a free design consultation, please give us a call at 713-574-4969.